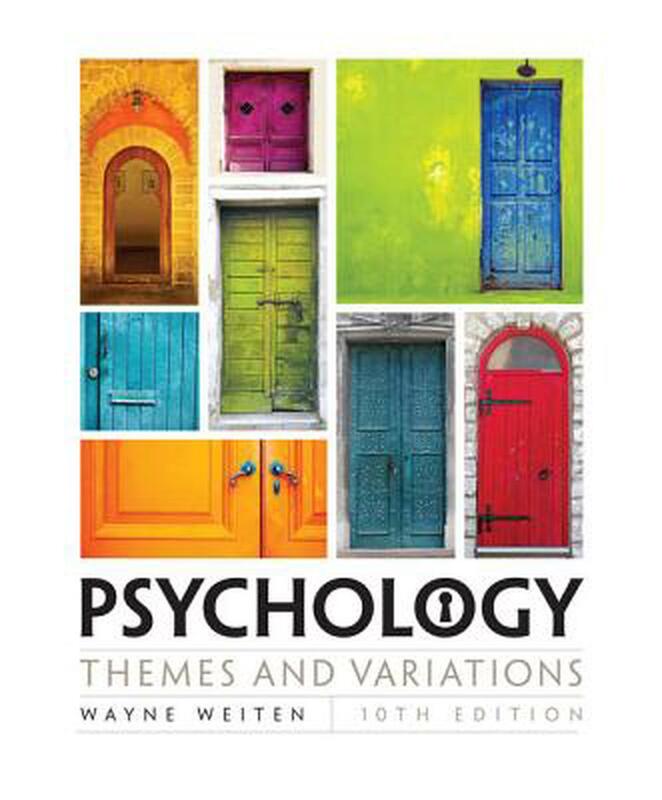 PSYCHOLOGY: THEMES AND VARIATIONS, 10th Edition, helps you experience the excitement of this fascinating field, while helping you study and retain what you learn. Filled with practical ways that you can apply psychology to your everyday life, this best-selling textbook is an experience in learning that you'll remember long after you complete your introductory psychology course. Critical Thinking Applications in every chapter give you specific critical thinking strategies you can apply in all of your courses and in your personal life. Reality Checks, many of which may surprise you, address common misconceptions about psychology. Every chapter of this book offers tools -- such as Concept Charts that provide colorful visual snapshots of key points -- to help you focus on what's important, showing you how to study in ways that help you retain information and do your best on exams. The Research Enterprise in Psychology. The Biological Bases of Behavior.